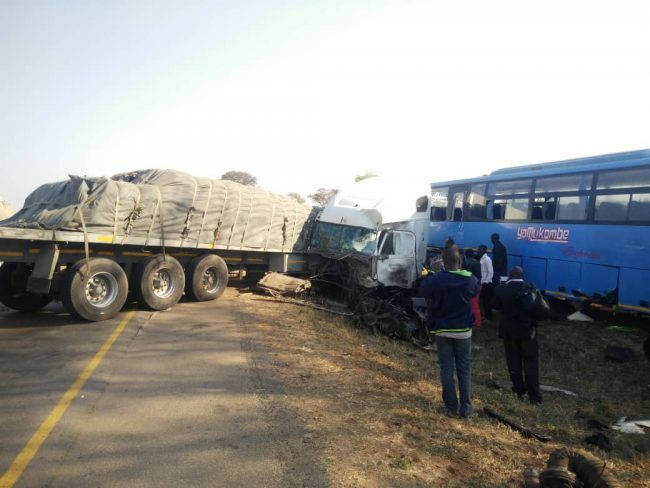 ONE person has died while 30 people have sustained injuries in an accident at Golden Valley (GART) near the layby along the Great North Road in Chisamba, police have confirmed. 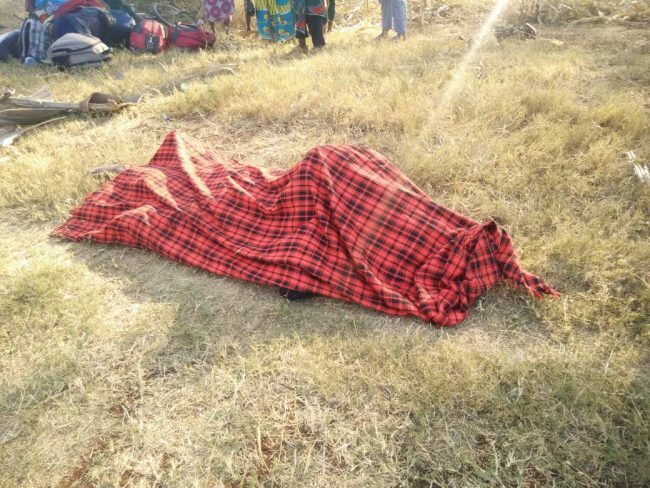 “Involved was Phiri Gelvasio aged 49 years of unknown address who was driving a Higer passengers Bus belonging to Yamukombe Express carrying about 35 passengers Registration number BAB 4419 moving from the direction of North (Nakonde) to South ( Lusaka) and Clement Banda aged 36 years of unmarked House number Garden House in Lusaka who was driving a Truck and Trailer belonging to Roadways transport Freightliner Registration number ABZ 5449 and ABV 8430T from the direction of South to North, Katongo told Kalemba in a statement. 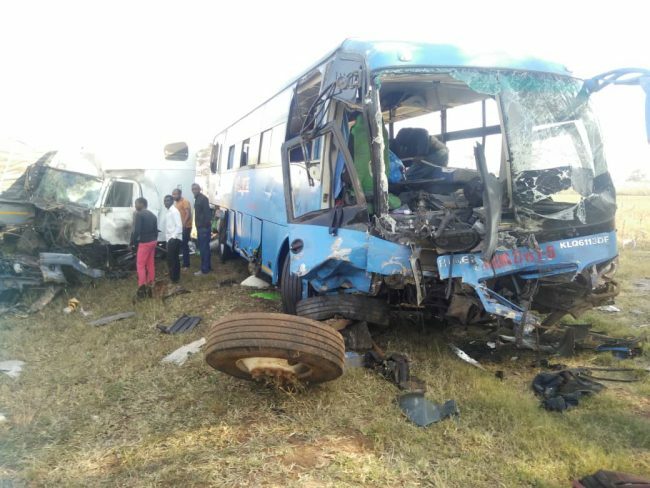 She said the accident happened when the driver of the Freightliner was overtaking improperly, hence collided with the Bus which was coming from the opposite direction. 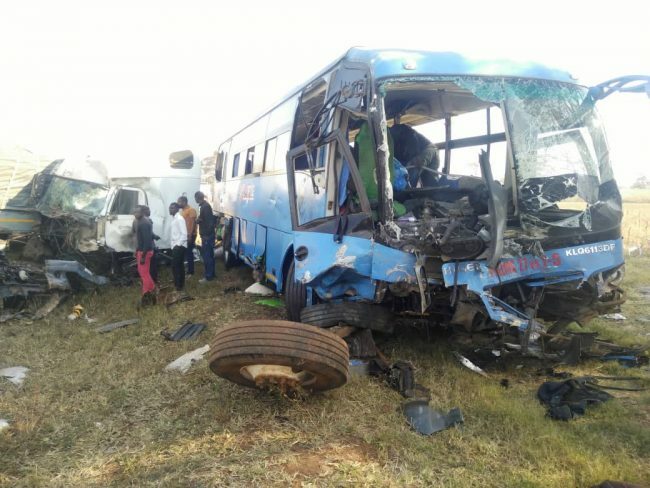 She confirmed that the driver of the Bus died on the spot while the 30 passengers on board sustained serious injuries. The driver of the truck and his passenger are also serious injured and are all admitted to Liteta Hospital. The body of the deceased person is in the same Hospital mortuary.